and comfortable designs that last. The latest PUMA Women’s Cell Riaze Cross-Training Shoe has received mixed reviews with some claiming its superior creation while others criticizing its application in athletics. The following takes a close look at the modern offering and how it could best complement your sporting lifestyle needs. The popular brand in sportswear has developed a track and athletic shoe line specifically for women including its modern cell technology for enhanced comfort, traction and longevity during training. 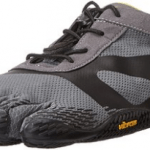 The Cell Riaze Cross-Training Shoe includes a number of features that make it different from other brands including its custom cushioning and ultra lightweight design. It is available in three different colors from black to white with fuchsia, and yellow. #1 Rated Female Shoe as Rated by Crosstraininglife.com & our valued visitors. The affordably priced line consists of a rubberized sole with synthetic uppers, and a platform of over 1.2 inches. The purpose is to provide women with effective grip while on the road or performing regular workout routines in a gym contributing to a versatile yet sleek and stylish trainer. PUMA has decided to keep its traditional lace up and mesh guards ensuring breathability during periods of activity keeping feet cool while minimizing moisture accumulation. For time spent on the track, the cross trainer includes inner cushioning to support the arch and ball of the foot. It is important to select the correct sizing to provide your feet with sufficient space or the padded areas could lead to a tight and uncomfortable sensation while moving. Cushioning for the sole and heel aims to relieve pressure and ensure that you remain comfortable for extended performance. Additional padding and the EcoOrtholite sockliner have been favored by many women who are interested in a sturdy trainer. The design may not be as light as other ranges, but it has been produced to withstand the daily wear and tear associated with the completion of track and similar workouts. A slight platform and rubber soles enhance traction and provide durability for individuals looking to invest in a quality trainer. The stylish line incorporating Cell technology aims to provide a higher level of comfort for women while running. It combines aesthetic appeal with quality and comfort to ensure that you not only feel great, but also look great. The range has been developed to withstand daily rigors and provide a much needed edge while engaging in athletics or performing intensive and endurance activities in a gym setting. The trainers have become suitable additions for winter or summer offering a breathable mesh to keep feet dry. The mesh further assists in keeping the shoe dry should it become exposed to excess moisture and prevents against the formation of bad odors. Simply wipe down the exterior with a clean cloth to keep the shoe looking new and to prevent stains from causes deterioration. Offering value for money, if you are into fitness, incorporating a sports shoe with superior design and traction can support high levels of activity and ongoing performance capabilities. Shoes that fail to cushion feet or provide adequate levels of comfort can quickly lead to tired limbs an an inability to continue with a workout plan. The necessary support measures must be delivered to encourage a daily flexible regime and ensure that the proper shoes are provided. This style of shoe has been most favored by women who perform everyday at the gym and require a solid and tough trainer to keep up with ongoing activities. The rubber soles offer a superior design and a tough exterior that will assist in completing a variety of kick boxing, jumping and similar actions in a structured environment. These designs have been produced for individual women who need modern trainers that will last. Cell Riaze Cross Trainers are built for stability ensuring that you remain well balanced during each workout. The regimes performed by women on a daily basis can be assisted with the correct types of footgear that incorporate a tough yet functional shape and build. These styles are suitable for both track and gym requirements offering a higher level of performance. 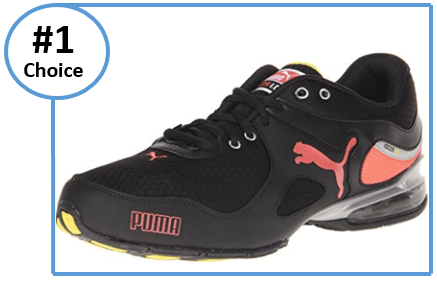 If you are in the search for a cost effective trainer, consider the latest PUMA range for women who are serious about fitness and comfort that can be achieved with ease. Wearing shoes with cushioning and breathable mesh will minimize the accumulation of moisture and best protect feet from the stress and strain it is placed under during activity. The right steps can assist in choosing footwear that is perfect for a wide range of performance capabilities. It is with good reason that this shoe has been highly acclaimed by customers and the reviews speak for themselves. With a sturdy yet stylish build, you can’t go wrong with our number 1 editor and consumers choice. We give this shoe a solid 9/10 and for good reason. Have you bought this footwear yourself? Have an opinion or suggestion for a different shoe we should review, please leave a comment down below and we’ll be sure to reply. Not every shoe is perfect for everyone and although this is our #1 recommend selection by editors and consumers alike it goes without saying you should do your own due diligence before purchasing these shoes online. You can follow the links on this page and read all of the reviews to see if this the shoe for you. Best of luck in your shoe venture and remember to let us know how you get on if you purchase.